NOTE: STUDIO 51 SALON SPA IS CLOSED. Some of us moved to Klassic Kuts and some to other salons so please contact your Hair Stylists or Nail Technicians on this link: CLICK HERE - which is our staff old website contact page. Our hair stylist Minnie Salinas and esthetician Lucia Christie moved to Klassic Kuts. 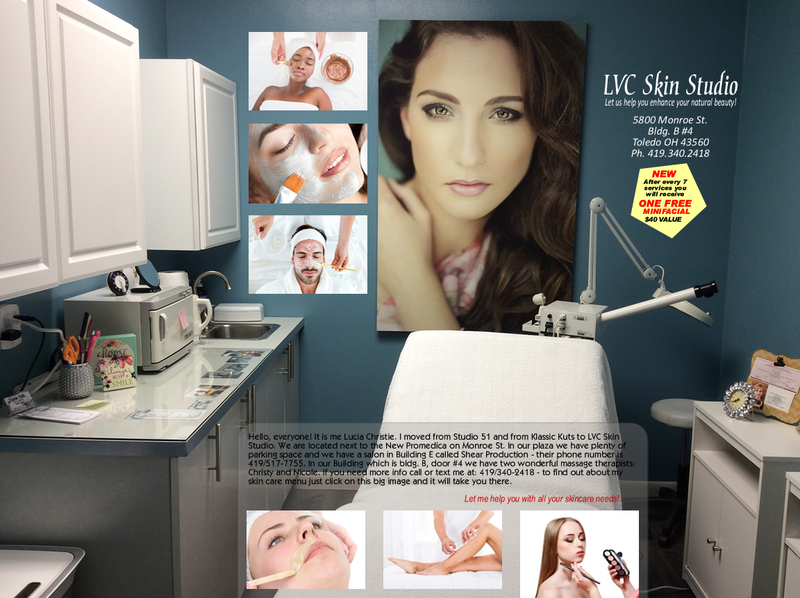 You can click on the picture below which is Lucia's new treatment room at Klassic Kuts. Stay informed by visiting this page. We are planning a new website.